Like Job’s counselors, the disciples sought a personal reason for the man’s blindness. Surely he had done something evil—or his parents had. This explanation leaves Job’s so-called friends, Jesus’ disciples, and us as much in the dark as the blind man. It reasons that if only Job had been a better man, the blind man had more faith, the magician had been more righteous, then darkness would not have fallen upon them. Where is Christ in this reasoning? Where is the cross? So long as we seek to understand pain, suffering, and death with human wisdom, we will never comprehend. 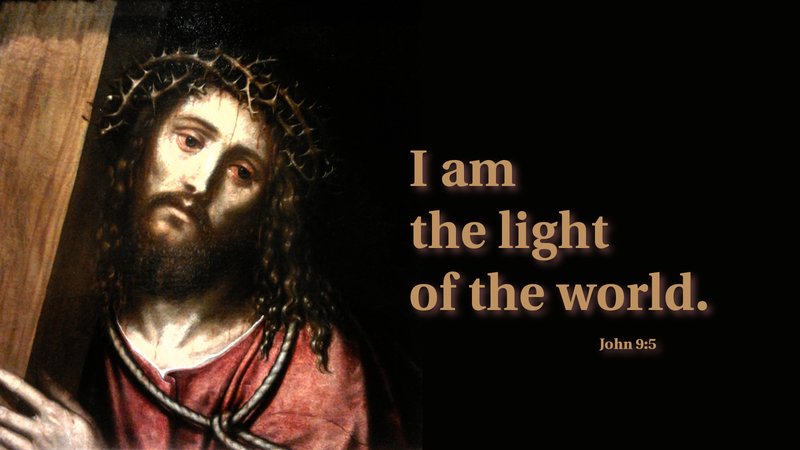 We remain in hopeless darkness without the Light of the World bearing a cross. There is our answer; ever there is the reason beyond reason. As I write, a precious sister awaits heart surgery, while another prepares for the worst because of cancer. What must they do to please God enough that he might alleviate their suffering? That is the wrong question. Though their faces are “red with weeping,” they can believe that God is the light in their darkness, the constant joy in the midst of their suffering. Such hope only arrives in view of an empty cross.